The air temperature during this year’s Turner Classic Movies Film Festival may have been cool, but there was plenty of warmth in the air when classic movie fans gathered at the Hollywood Roosevelt Hotel Thursday afternoon. Meeting fellow movie bloggers and other social media friends was like a high school reunion. And just like a high school reunion, we all picked up where we left off at last year’s fest. While we were all catching up at the Roosevelt Hotel, we had the pleasure of meeting Monika Henreid, actor Paul Henreid’s daughter. 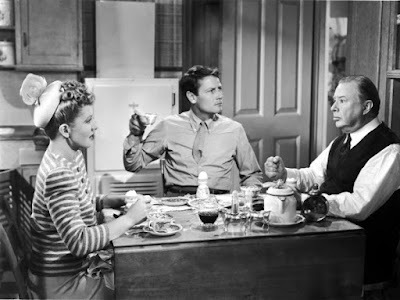 I spent a few pleasant moments chatting with her and sharing one of my favorites of her father’s films, Devotion (1946). 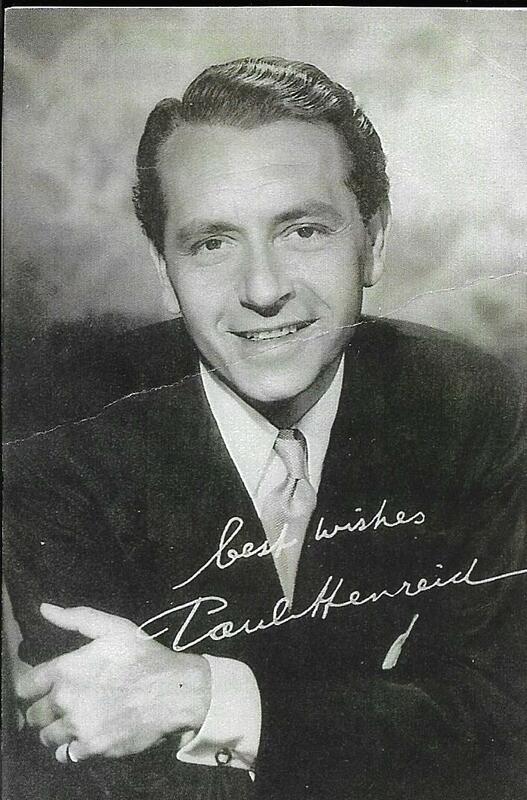 Monika is preparing a documentary about her famous dad, Paul Henreid…Beyond Victor Laszlo. The 90-minute documentary and companion book are set for a 2017 release. Thursday’s film choices were easy ones for me: A Tree Grows in Brooklyn (1945) and Brief Encounter (1945). It’s been over 25 years since I saw A Tree Grows in Brooklyn and I’d never seen Brief Encounter before. A Tree Grows in Brooklyn, Elia Kazan’s first directorial effort, was beautifully restored. Ted Donaldson who played Neely in the film introduced it. His recollections of the film’s production and the other cast members was enlightening and entertaining. He also told a funny story about Joan Blondell who he had a crush on. Brief Encounter was completely new to me, although I was familiar with its reputation as one of the great films to come out of Britain during the 1940s. Beautifully directed by David Lean, Brief Encounter was a simple love story set in Britain as WWII was winding down. It has wonderful performances from Celia Johnson (a Best Actress nominee) and Trevor Howard. I was glad I finally saw it and on the big screen too! Last year the festival was almost a month earlier and it was hot! This year, figuring it would be the same, I packed mostly shorts and t-shirts. I even brought a bathing suit to go swimming. The temperature barely reached the 50s and this Chicago boy was freezing most of the time. I ended up wearing the jeans and hoodie I wore to the airport the entire time. It was the same hoodie I brought last year, that I only wore in the theaters which seemed to get colder the longer the movie ran. Tip: If you go to the festival, bring a sweater or a hoodie because the theaters do get chilly. This year I watched several movies with my hood on. I had a good idea what I wanted to see this year, but Monday morning’s screenings were all good. I wanted to see The More the Merrier (1943), Shanghai Express (1932), and Love Me Or Leave Me (1955), all starting at roughly the same time. But I had a strategy. Check back later to see if my strategy worked!